We have a massive selection of broom heads and brushes available in many sizes and various colours, plus the handles to go with them. 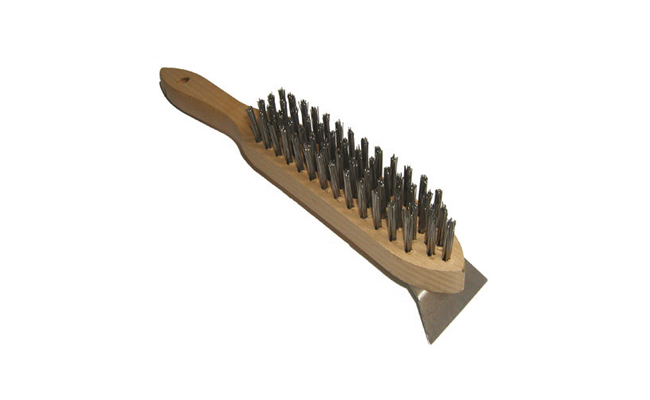 Whether it’s traditional wooden brushware you are looking for or more modern plastic options, we have it all. For both indoor and outdoor cleaning, professional contract cleaning and domestic, and scouring and scraping duties, there is a brush or a broom for you. We stock a large selection of respected cleaning brands like SYR, Robert Scott, and Salmon Hygiene so that no matter what you choose you can be assured that it’s quality. The Pattersons Cleaning Supplies range of floor cleaning equipment includes a mix of the latest gadgest in the floor cleaning industry such as Karcher scrubber driers and Karcher pressure washes, but it also includes traditional floor cleaning supplies such as brushes which have been used for many years without failing anyone yet. Shop online at Pattersons Cleaning Supplies to browse our range of modern and tradition cleaning equipment for the best results today.